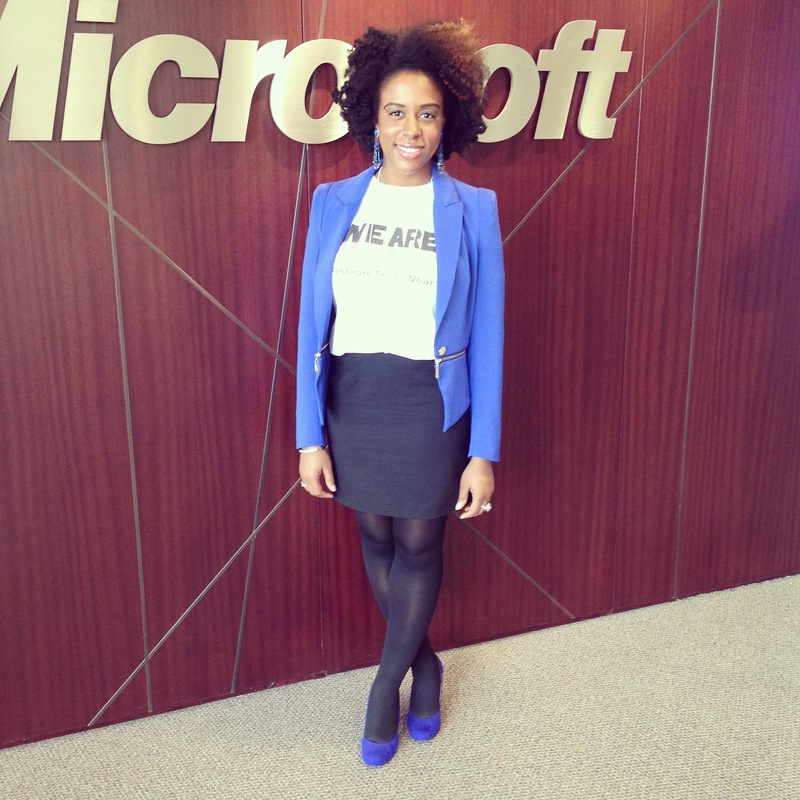 ON FEBRUARY 27TH: I KICKED OFF THE TOUR AT THE MICROSOFT’S “BUILDING DIVERSITY IN TECHNOLOGY” EVENT IN MALVERN PA. 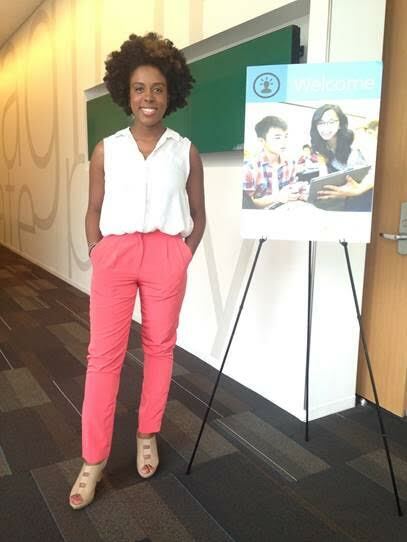 I WAS SELECTED AS THEIR KEYNOTE SPEAKER TO DISCUSS THE NEED FOR DIVERSITY IN THE TECHNOLOGY INDUSTRY. 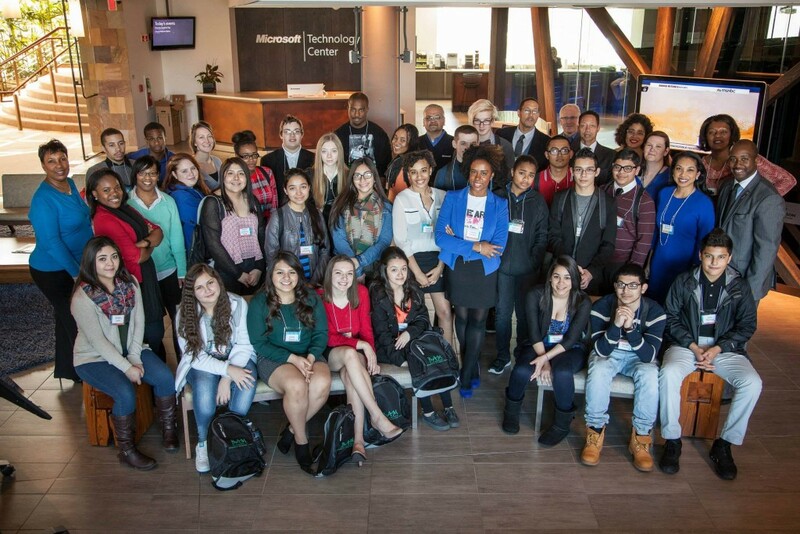 ON MARCH 13TH: I ATTENDED THE MICROSOFT’S “BUILDING DIVERSITY IN STEAM” EVENT IN WASHINGTON DC. 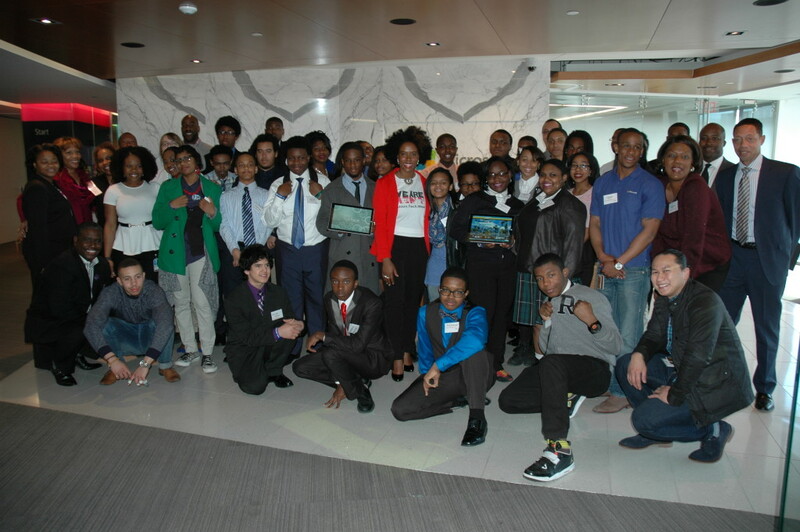 I WAS SELECTED AS THEIR KEYNOTE SPEAKER TO DISCUSS THE IMPORTANCE OF LEARNING TECHNOLOGY SKILLS. 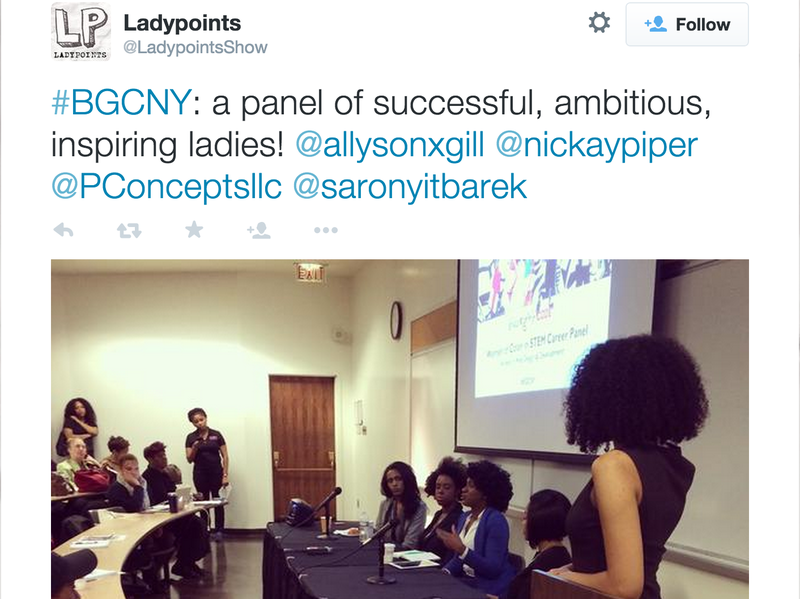 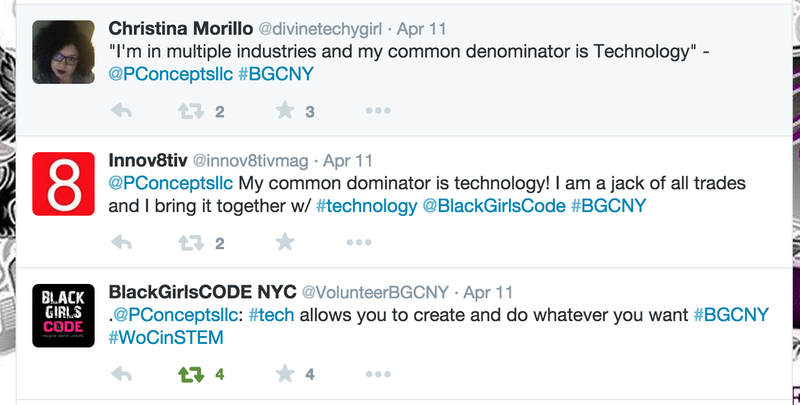 APRIL 11TH: I ATTENDED THE BLACK GIRLS CODE NYC “DEVELOP A WEBPAGE” EVENT TO SPEAK ON THE WOMEN IN STEM PANEL. 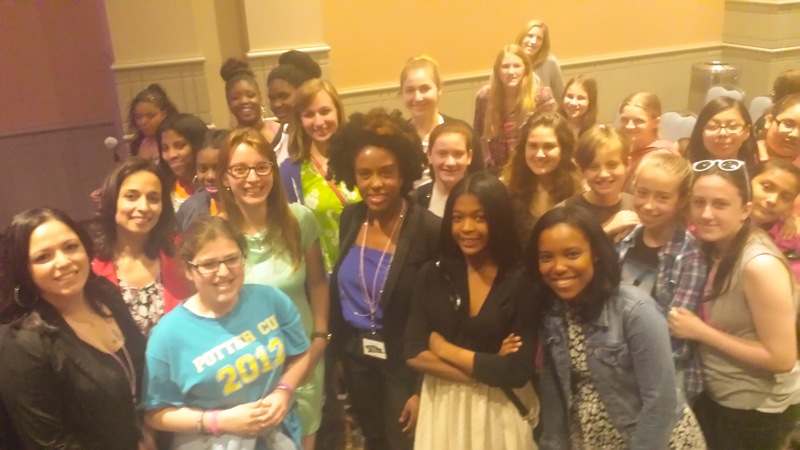 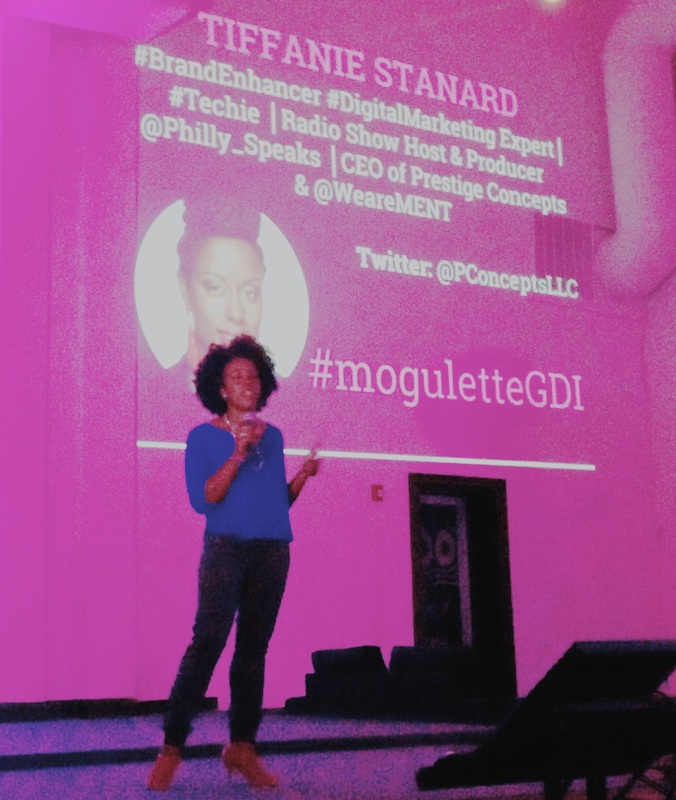 APRIL 21ST: I ATTENDED PHILLY TECH WEEK TO SPEAK ON THE WOMEN IN TECH PANEL FOR THE ORGANIZATIONS, MOGULETTE AND GIRL DEVELOP IT. 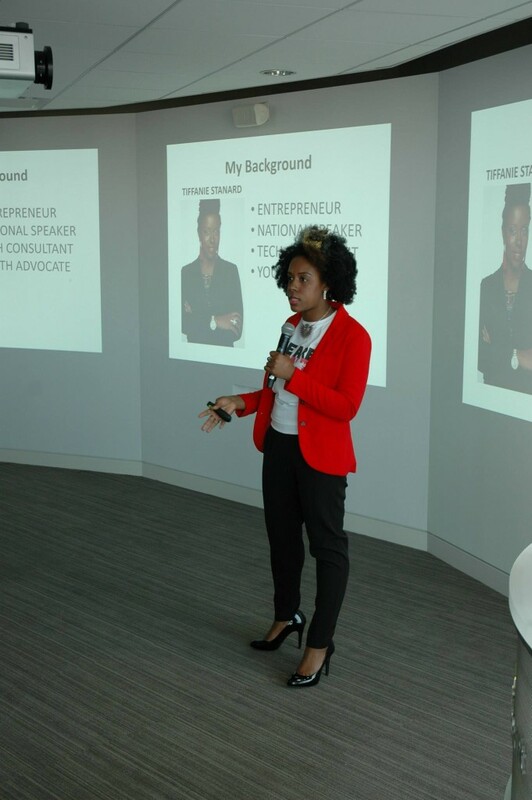 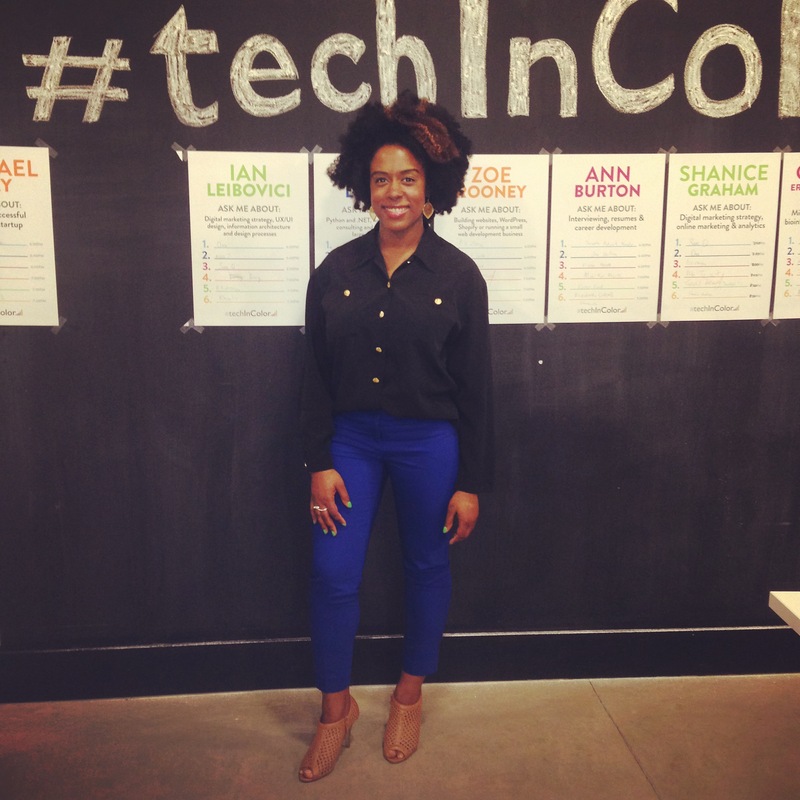 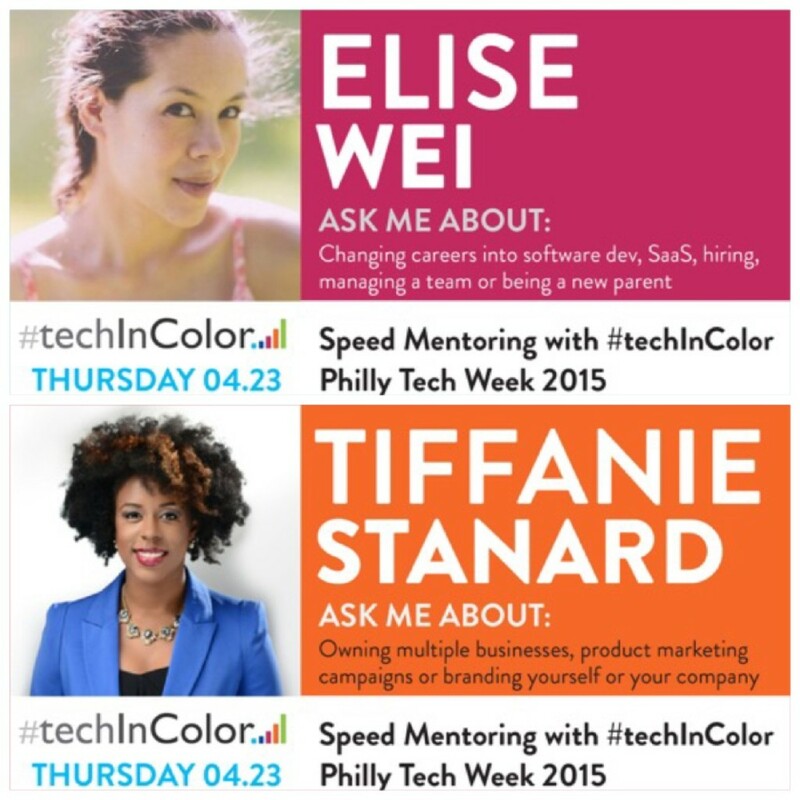 APRIL 23RD: I ATTENDED PHILLY TECH WEEK TO MENTOR ENTREPRENEURS AT #TECHINCOLOR. 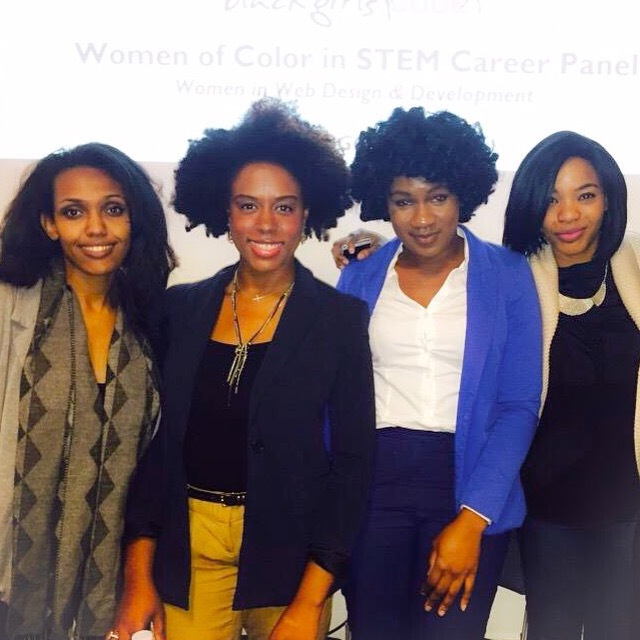 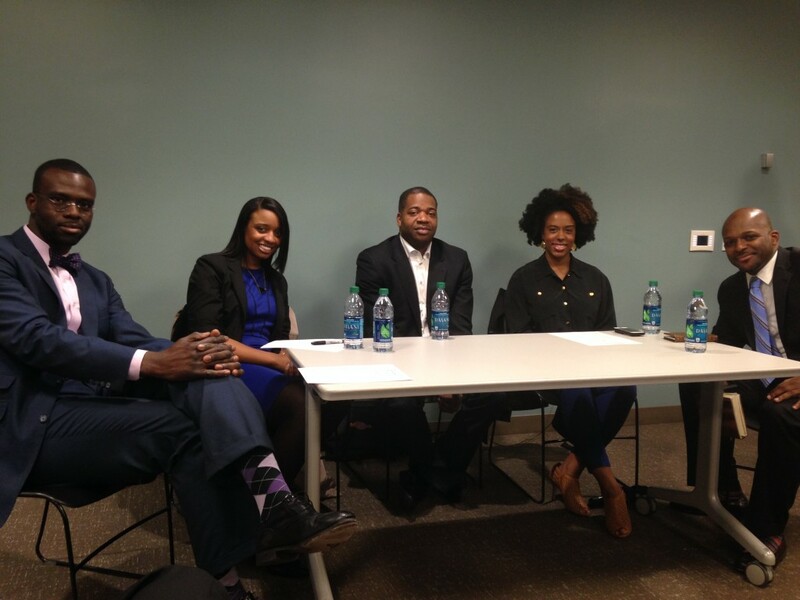 APRIL 23RD: I ATTENDED PHILLY TECH WEEK TO SPEAK ON THE BUILDING DIVERSITY IN STEM PANEL FOR THE NEXT PHILADELPHIA EVENT. MAY 13TH: I ATTENDED THE MICROSOFT YOUTHSPARK FOR SCHOOLS EVENT IN NYC TO SPEAK ON THE WOMEN IN TECH PANEL. 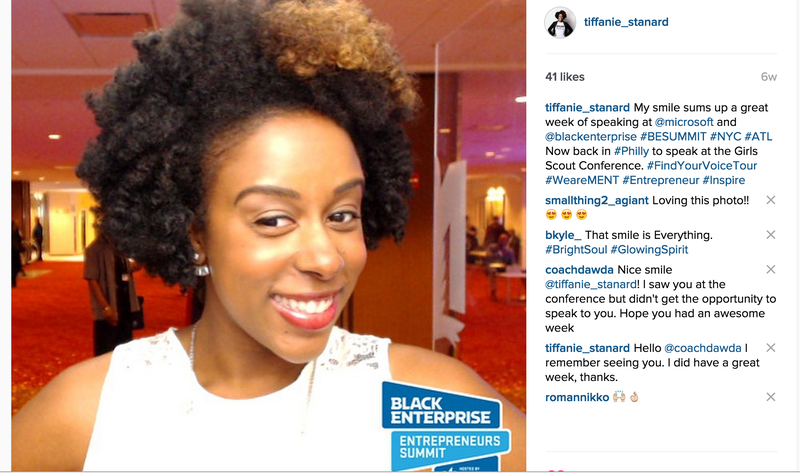 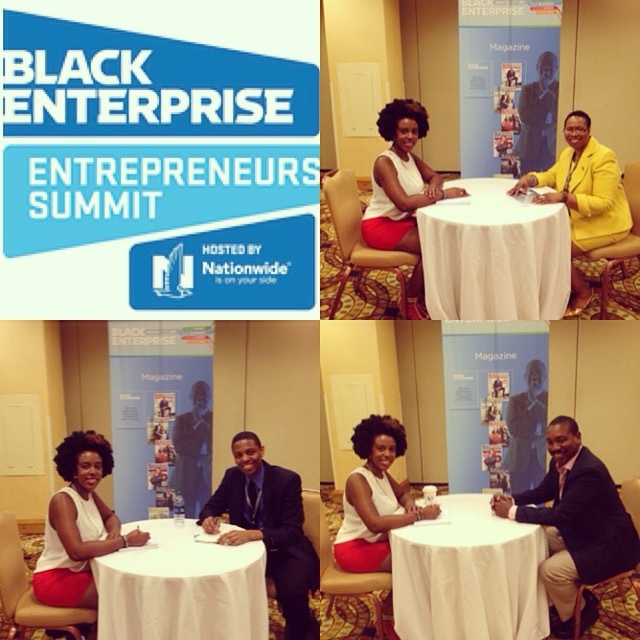 MAY 13TH – 15TH: I ATTENDED THE BLACK ENTERPRISE ENTREPRENEUR SUMMIT TO MENTOR ASPIRING BUSINESS OWNERS. 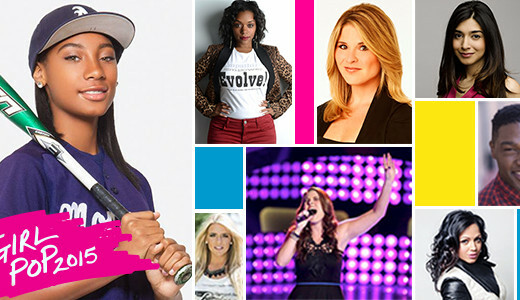 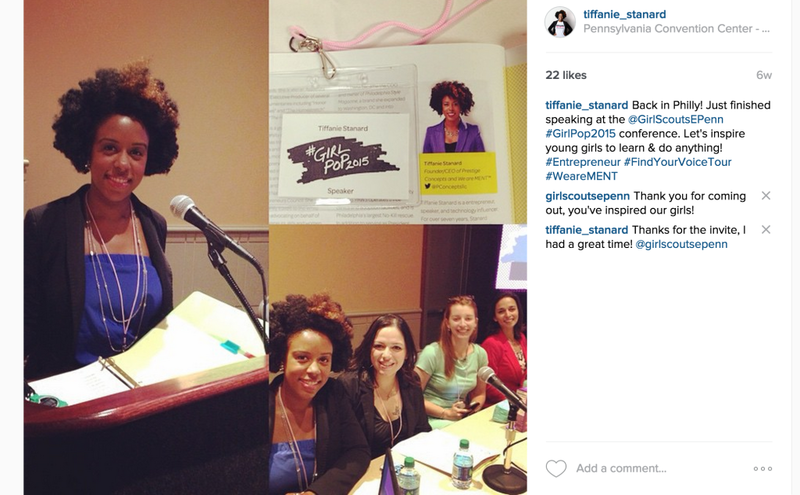 MAY 16TH: I ATTENDED THE GIRLS SCOUTS CONFERENCE #GIRLPOP2015 TO MODERATE THE PANEL “HOW TO ACHIEVE YOUR DREAMS BY AGE 30”. 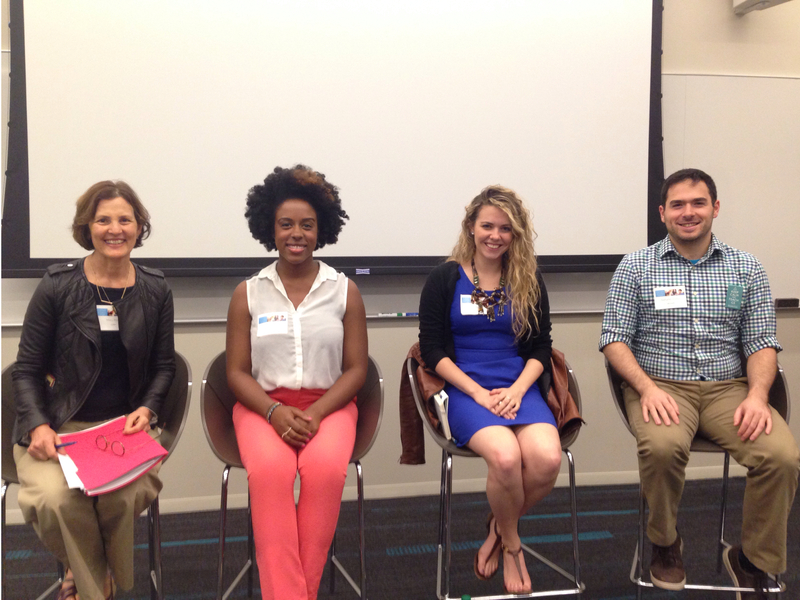 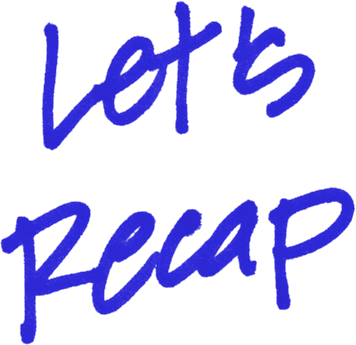 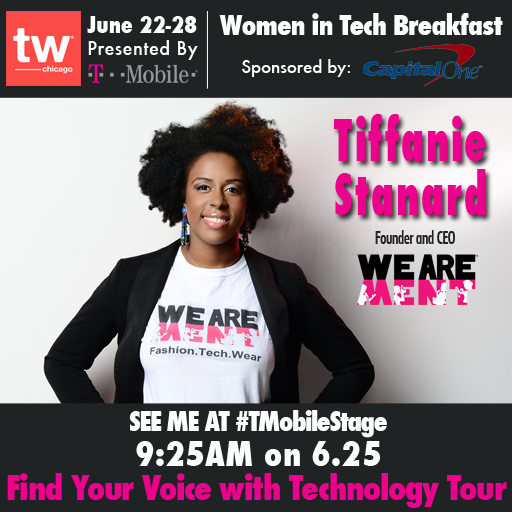 JUNE 25TH: I ATTENDED TECHWEEK CHICAGO TO SPEAK ON THE WOMEN IN TECH BREAKFAST PANEL. 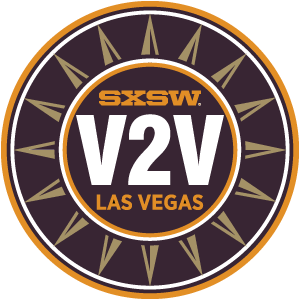 Mentoring at SXSW V2V in Vegas! 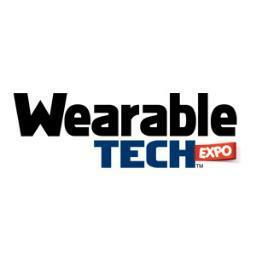 Announcement: Speaker at the Wearable Tech Expo!